This online store is for those who are unable to visit us during our opening hours and provides a service in parts of the Charnwood area of Leicestershire. 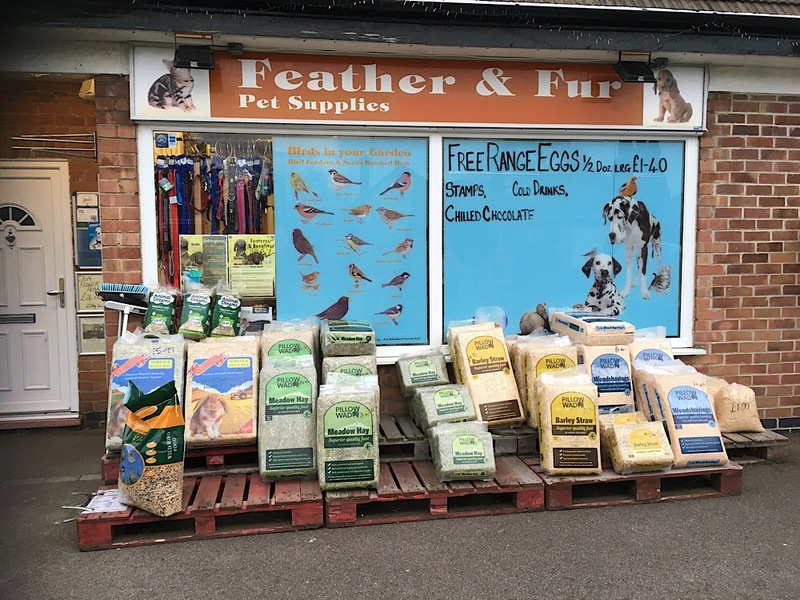 As well as pet food and supplies we also stock Semi-skimmed milk and locally sourced Free Range Large Eggs. Deliveries are after 6.45pm Tuesday, Wednesday & Thursday only. Orders need to be placed by 4.30pm for same day delivery. There are a lot of items on these pages and the easiest way to find something is to use the search box, type a word in (i.e., canary) to find any product with canary in the description. Or work your way through the catergory menu. We are slowly listing everything available from the shop, but it's a long job! NOTE> this site is not stock linked to the real shop so it may allow ordering of an out of stock item, be sure to leave a phone number so we can call you if that should happen. P.C. or laptop? Use the catergory menu on the left to view and select items. Mobile device? Use the 3 line menu button at top of display. No deliveries on Friday, Saturday, Sunday and Monday. Below are a few random items from the site. Not a comprehensive list by any means. Naturediet Feel Good various flavours.